Dennis and Rita enter marriage counseling to try and say their marriage. In Retrospect, Frank Leone's new musical comedy web series, is the story a couple in marriage counseling rediscovering who they are in an effort to save their marriage. Leone stars as Dennis, and Rachel Bahler plays his wife, Rita. When a husband who can't let loose and a wife who's not afraid to lay the smack visit their unconventional and eccentric therapist (Shannon Krowkicki as Dr. Fillasho) each week, they re-imagine their first meeting (in a dream sequence musical number) in an effort to rekindle the fire within their marriage. Nine original songs were written specifically for the series ranging in styles and genres from contemporary pop and musical theatre to classic tango and swing. 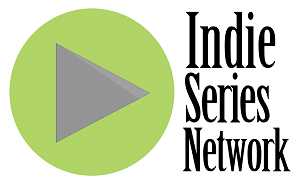 You can catch up on the next three episodes at inretrospectweb.com, The next episode will be released on Thursday, November 12 at Noon ET.